Efficiency in excess of 95%. Many other types 35% - 60%. 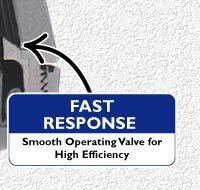 Valve opening and closing very responsive. 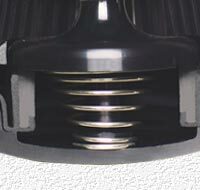 Unique Product Design incorporates built in strainer. 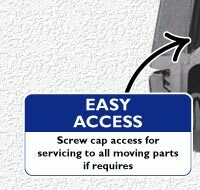 Operates at any angle or position. 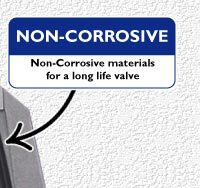 No poppet valve to wear. 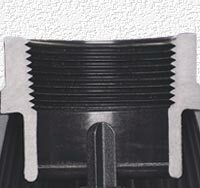 Blockage reduced due to low fluid velocity through slots. All components of this valve manufactured from materials approved for use with potable (drinkable) water. 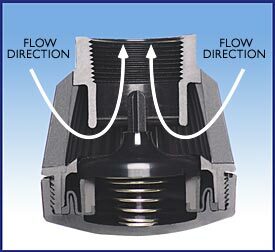 When fluid is required in the direction of flow, the diaphragm opens allowing full flow. 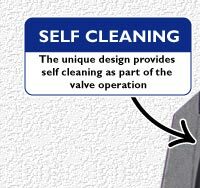 As the flow through the valve stops, the diaphragm closes preventing any return flow. 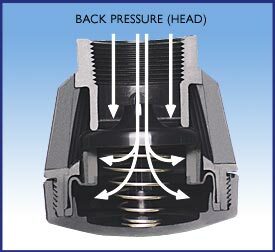 The greater the back or head pressure, the better the diaphragm seals against the valve seat.